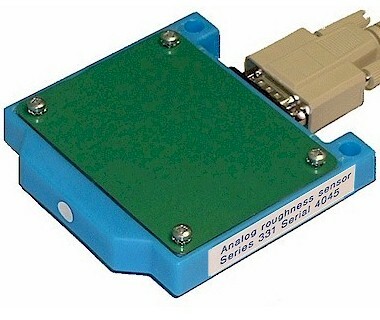 Series 331 sensor: A machined surface can be analyzed for roughness. The sensor measures roughness from 0.05 to 20 microns. One light flash is used and the reflected and scattered light is used to calculate roughness. The results of these measurements and the calculations for scattering, reflection, roughness and temperature are transferred to an analog output 4 ... 20 mA.